Few relics of prehistoric settlement on the Deccan Plateau have survived. The earliest culture appears to date back to the second millennium B.C., when light-complected Aryans began pushing the native inhabitants from the Indus River valley to the south. Many of them settled on the Deccan Plateau, where they retained their original religion and tribal organizations. Over the centuries, certain Aryan elements, such as Vedic gods, made their way into the Deccan culture. 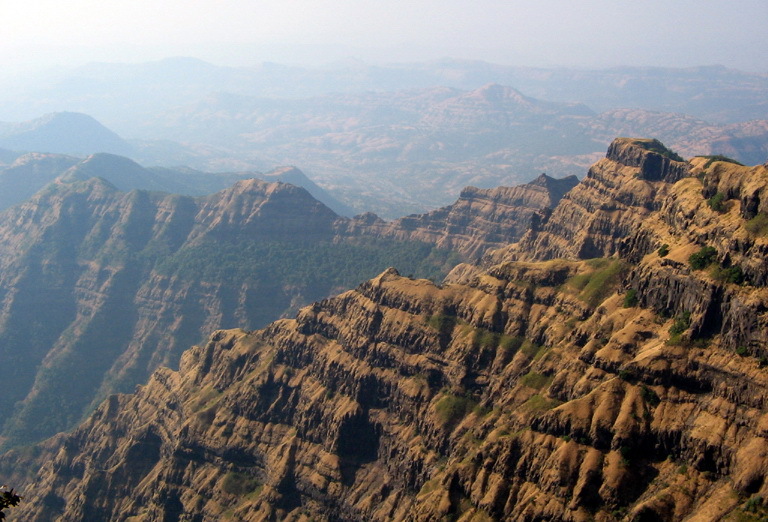 The first important state to arise on the Deccan Plateau was the Satavahanas dynasty. The Satavahanas created a kingdom based on the superiority of the Brahmans and the political organization of the Mauryan Empire. Power was decentralized, with much authority given to local governors. Although the Satavahanas were Hindus, they granted religious freedom to the Buddhists who controlled trade in the region. Cities became more common under the Satavahanas, and extensive land and sea trade routes developed, linking northern and southern India. The Satavahanas kingdom lasted from the second century B.C. to the third century A.D. It then split into smaller kingdoms that were ruled by families who had been feudal vassals of the Satavahanas. For nearly 1,000 years, India was divided into regional kingdoms that developed their own cultures. On the Deccan Plateau, the Vakatakas dynasty dominated during the fourth century and played an important role in the rise of the Gupta Empire in northern India. Gupta rule was considered a golden age of culture in Indian history, with great works of literature and art produced. Other dynasties followed. The Chalukyas of Vatapi ruled the Deccan Plateau from the sixth to the eighth centuries and fought with the Tamil powers to the south for control of trade routes. The Rashtrakuta kingdom was founded in the Deccan by Dantidurga in 753 and ruled over the Deccan Plateau for more than 200 years. A sudden decline in their power enabled a vassal named Taila to overthrow them and establish the Later Chalukya (Kalyani) kingdom around. 975. In 1190, the Chalukyas were displaced again, and the Deccan Plateau was divided between the Hoysalas of Dvarasamudra, the Yadavas (or Sevunas) of Devagiri, and the Kakatiyas of Warangal. The various dynasties that ruled over the Deccan Plateau during the time of regional kingdoms were all Hindus and encouraged the spread of their faith among the people. Their power was eventually threatened by the growth of Muslim power in northwest India. The Delhi sultanate expanded its holdings toward the Deccan Plateau ca. 1294, when Ala ud-Din Khalji, a Turkish officer serving the Delhi sultan, raided the Yadava territory. It was reduced to tributary status. In 1307, the Muslims used nonpayment of tribute to overrun the entire Deccan Plateau. They formally annexed it in 1318. The Delhi sultanate's rule was short lived, however. In 1347, the local Muslim officials declared their independence and established a new sultanate. The Bahmani sultanate eventually extended from the Arabian Sea to the Bay of Biscay. Although the ruling class was composed of Muslims, most local officials were Hindu, leading to tensions between the faiths. To staff their government, the sultans preferred to bring in trained officials from Persia (modern-day Iran) or Asia Minor (modern-day Turkey), causing even more division among the Muslim leaders. Provincial governors, allowed a great deal of freedom, often were tempted to revolt against the sultan. Still, the Bahmani kingdom lasted until 1526. It developed a vibrant culture that combined Muslim and Hindu elements. Miniature painting and architecture, for example, reached new heights under the Bahmani, and the normal language of the kingdom included many Deccan terms. The most important threat to the Bahmani kingdom was from Vijayanagar, a powerful Hindu state in southern India populated by many Hindu émigrés from the Deccan Plateau who had refused to accept Muslim rule. They became mortal enemies of the Muslims and fought eight wars against them between 1349 and 1481. Vijayanagara was eventually defeated in 1565 at the Battle of Talikota. The Bahmani kingdom lasted until the late 15th century. Beginning in 1460, five independent sultanates were created from the kingdom, bringing it to an end. The new states were eventually defeated and annexed by the Mughal Empire in the 17th century.